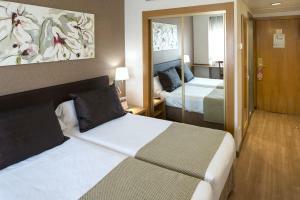 Catalonia Albeniz offers spacious, air-conditioned rooms with free WiFi and satellite TV. 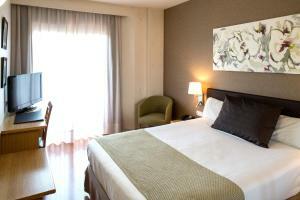 It is situated 150 metres from Clot Train Station, and a 15-minute walk from Gaudí’s Sagrada Familia Church. The property has a gym and an outdoor pool. You can also use the luggage storage facility on site at the Albeniz. 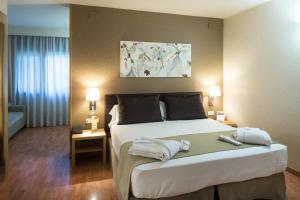 The Albeniz offers bright, modern rooms with simple décor and wooden floors. Each room includes a minibar and a marble bathroom with a hair dryer, plus a safe. This bright, modern room has simple décor and wooden floors. It includes free WiFi, a safe, minibar and a marble bathroom with a hairdryer. Please note that only dogs and cats under 20 kg are allowed in the hotel and upon prior request. A supplement of EUR 10 per night per pet will be applied; and a deposit of EUR 200 is required upon arrival for incidentals. This deposit is fully refundable upon check-out and subject to a damage inspection of the accommodation. Please note that guests must present the credit card used to make the reservation upon arrival. If you are not the owner of the credit card used to make the reservation, please contact the property in advance. When booking more than 5 rooms, different policies and additional supplements may apply. Please note that the mini fridge/bar only includes bottled water. 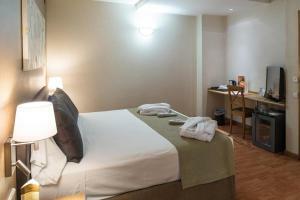 Rate: € 50.00 ... € 179.12; select dates below to get current rates. This bright, modern room has simple décor and wooden floors. It includes free WiFi, a safe, minibar and wake-up service. There is a marble bathroom with a bath and a hairdryer. Please note that the mini fridge/bar only includes bottled water. 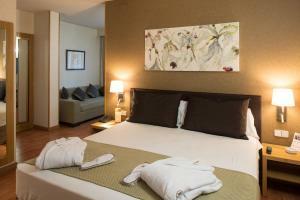 This twin/double room features a cable TV, safe, bathrobe and air conditioning. Coffee and tea facilities, and a wake-up service are also included. Please note that the mini fridge/bar only includes bottled water.